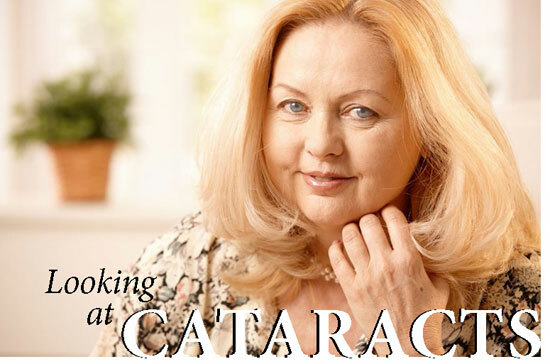 Cataracts are a routine complication of aging and gradually begin to cause vision impairment. The condition is one of the leading causes of vision loss in adults aged 55 and older – in fact, over 2.5 million Canadians currently suffer from cataracts and this number is expected to double to five million by 2031. The lens of a healthy eye is circular and biconvex, bulging outward like the surface of a magnifying glass. It is also transparent, allowing light rays to pass through it. This transparency is integral to the proper function of the lens. Similar to the lens of a camera, the passage of light through the lens determines the clarity of one’s vision. In a healthy eye, light can travel through the transparent lens to the retina, where it is converted into neural signals delivered to the brain. These signals become the images one sees. In patients with cataracts, however, a clouding of the eye’s lens occurs, resulting in blurred and out-of-focus vision. For the retina to capture a sharp image, the lens must be clear; having a cataract could be likened to seeing the world through a window covered in petroleum jelly. Made primarily of water and protein, the lens has two main functions; it focuses light onto the retina, and it adjusts the eye’s focus, determining how clearly one sees objects both near and far away. As people age, some of the constituent proteins begin to gather, resulting in a clouded area within the lens. This clouding is called a cataract and it may grow over time, covering more of the lens and making it more difficult to see. Most age-related cataracts result from such protein gathering. While referred to as age-related, one can experience cataracts as early as one’s 40s, although they are more commonly experienced after age 50. During middle age, cataracts are usually less obstructive than in patients over 60, when most cataract-induced vision loss occurs. The risk for developing cataracts increases with age, but many other factors also contribute to this condition. Diseases such as diabetes increase the risk of developing cataracts by up to 60 per cent. The high blood sugar levels that result from diabetes can cause the lens of the eye to swell, interrupting the focus of light. Ultimately, the lens will become clouded, blocking light and resulting in impaired vision. Oxygen-free radicals are naturally occurring molecules in the body and activities that result in their overproduction, such as smoking and excessive alcohol intake, along with ultraviolet radiation, harm nearly every type of cell in the body, including those located in the eye. Several symptoms can indicate early-stage cataracts. Cloudy or blurred vision is one of the most common. Other symptoms include increased glare, double vision (in one eye) and poor night vision. Though cataracts can severely impair vision, treatment has greatly advanced in the last decade. In fact, cataract surgery has become routine in Canada, with more than 250,000 procedures performed annually. It is also one of the most successful surgeries, with over 95 per cent of patients reporting improved vision afterwards. 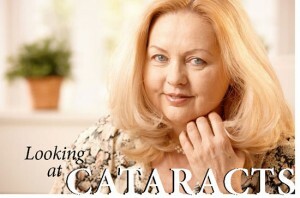 Not all cataracts require surgery. The symptoms of early cataracts can be treated with anti-glare lenses, brighter lighting and even new eyeglasses. However, surgery is often necessary if cataracts impede the treatment of other eye diseases, such as age-related macular degeneration. There are a number of advances in the intraocular lenses used in cataract surgery, many of which involve correcting astigmatism, while offering both reading and distance correction. With the myriad treatment options and technological advancements available, the days of permanent vision loss due to cataracts have fortunately become a distant memory.